Snap Hooks are self closing/self locking connectors that feature a gate that "opens" into the throat of the hook. 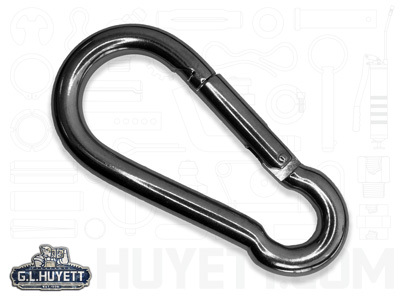 The gate is secured with a pin that springs back into place when released to provide a quick connection for rigging, coupling, or anchoring. 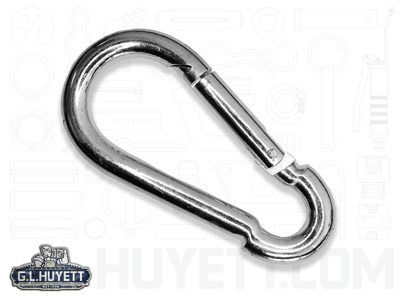 Available in corrosion resistant zinc plated carbon steel or polished stainless steel, Snap Hooks provide a quick, secure connection for chain, wire, rope, and slings, but they are not intended for lifting or fall arrest.